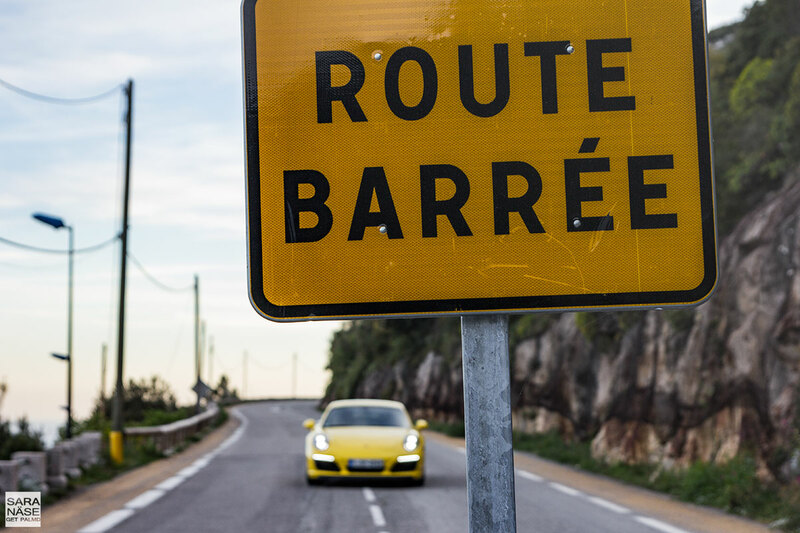 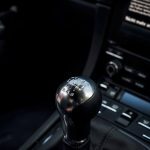 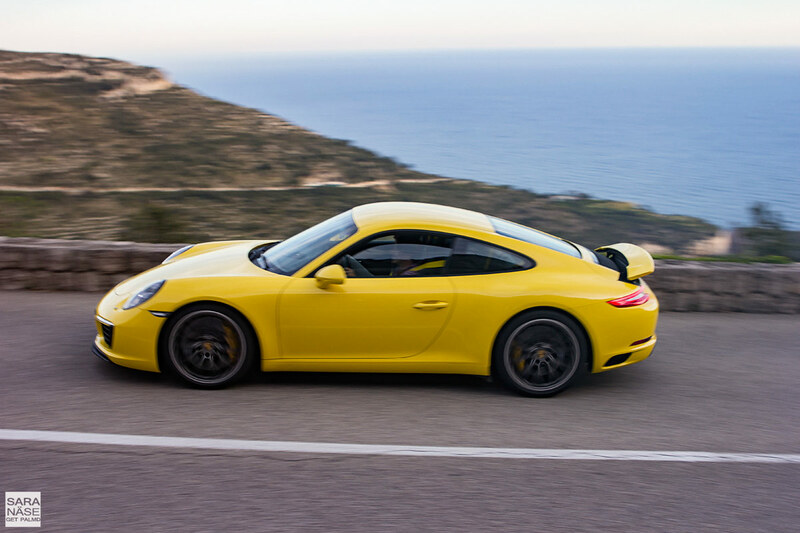 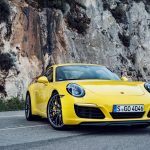 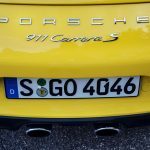 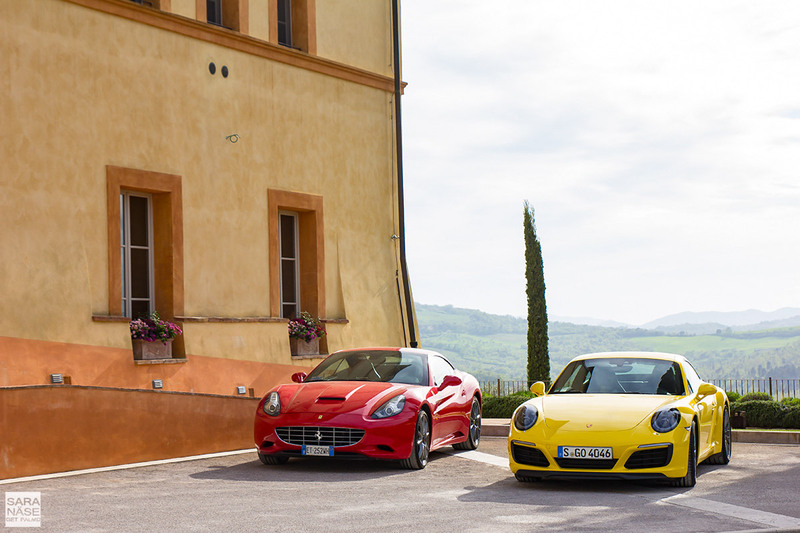 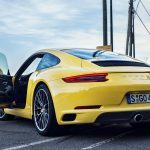 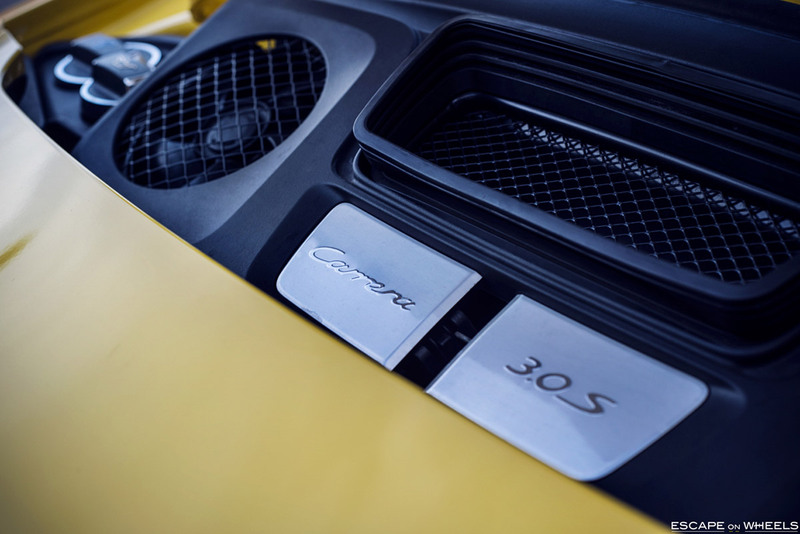 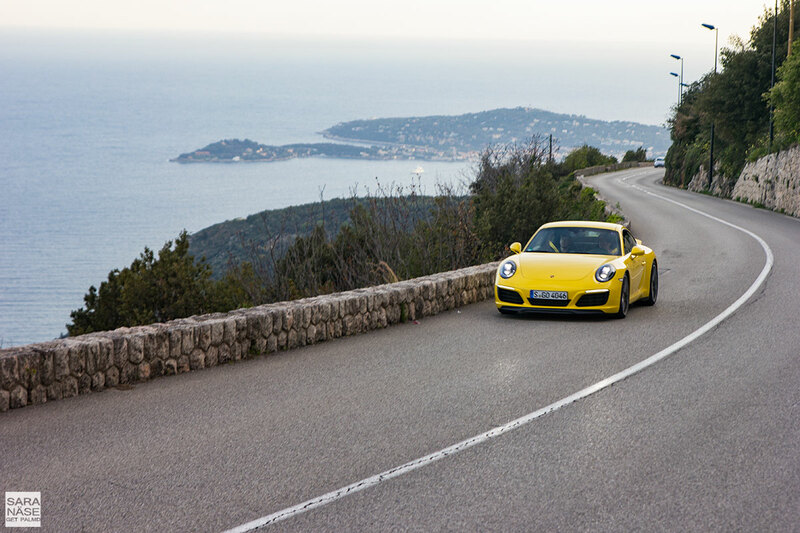 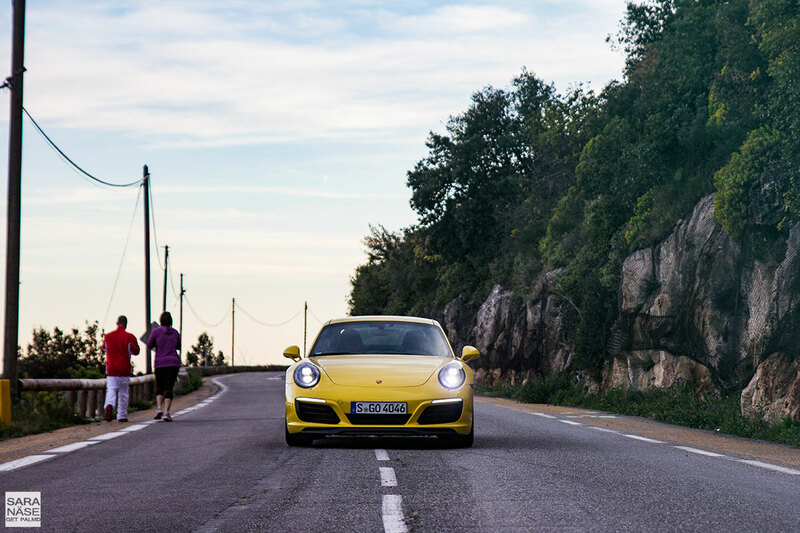 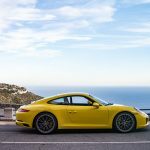 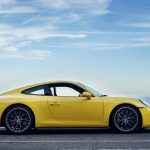 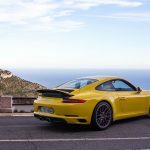 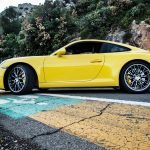 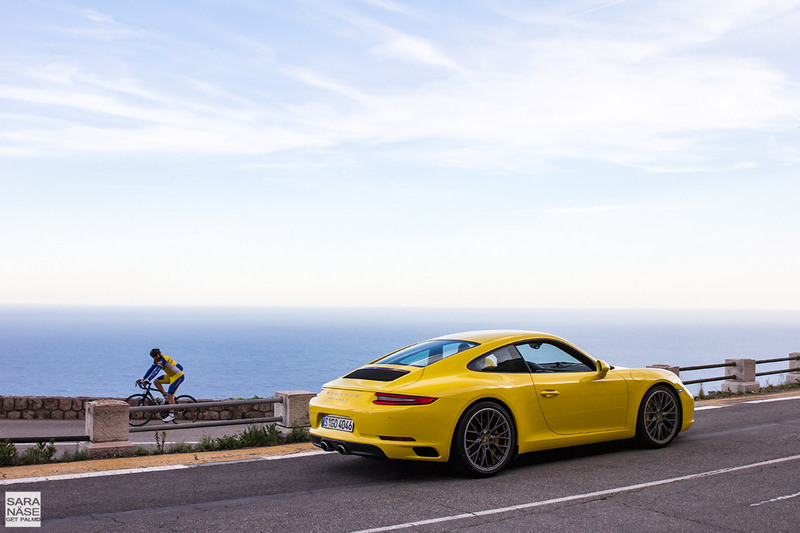 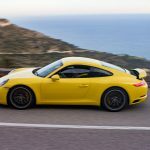 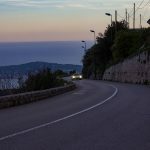 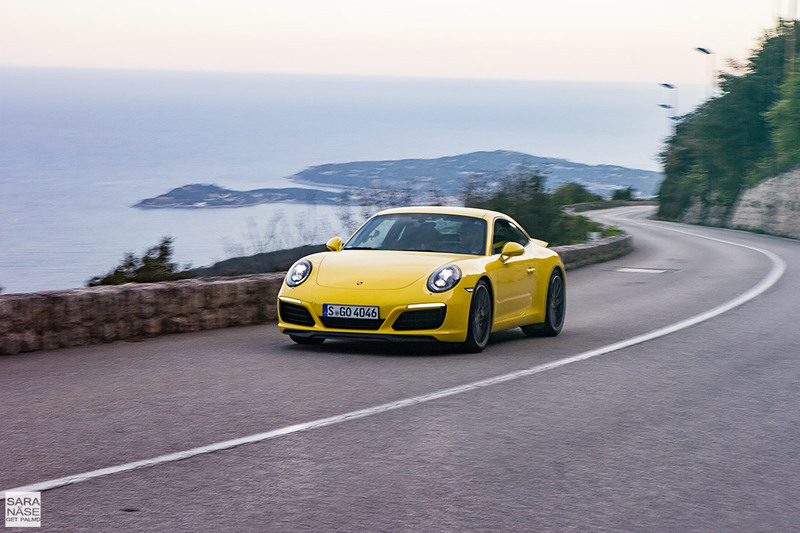 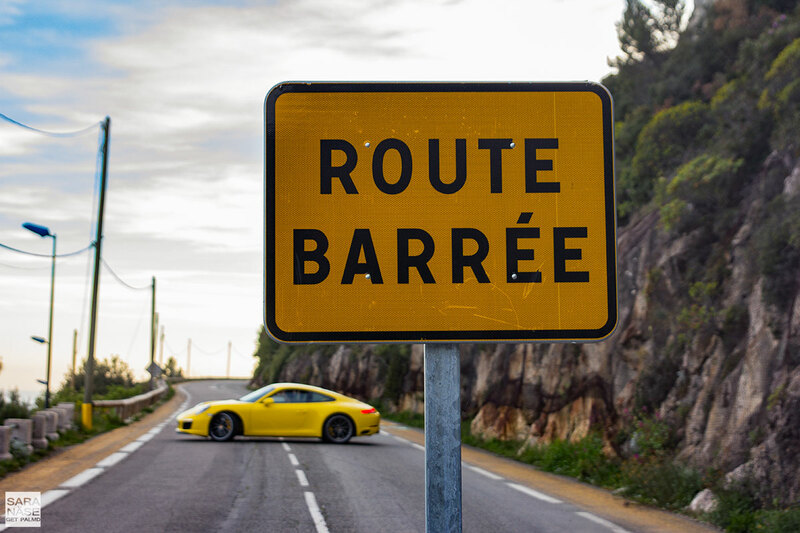 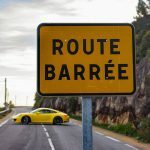 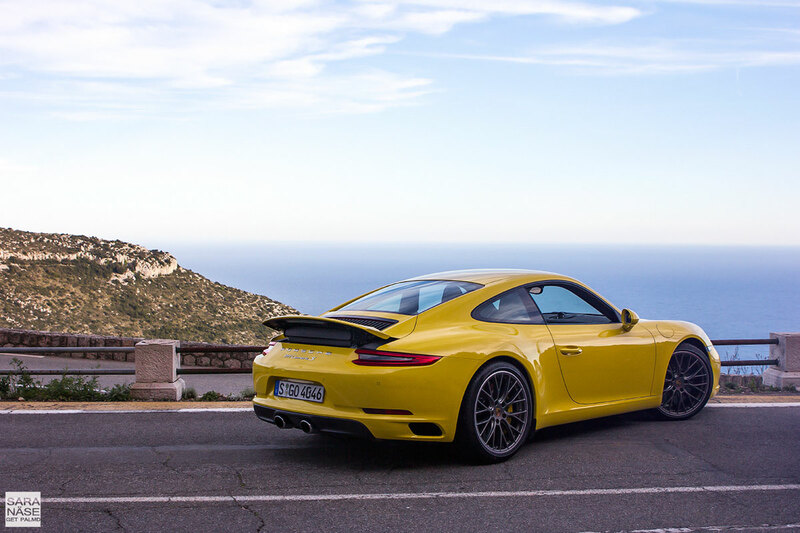 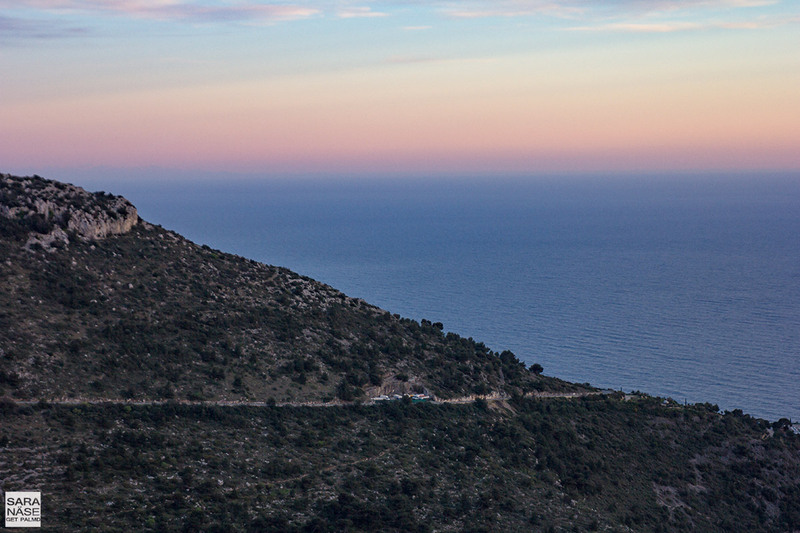 What do you get when you start up the engine of a Porsche 991.II Carrera S, tap the exhaust button and drive out from Monaco to a few nice mountain roads nearby? 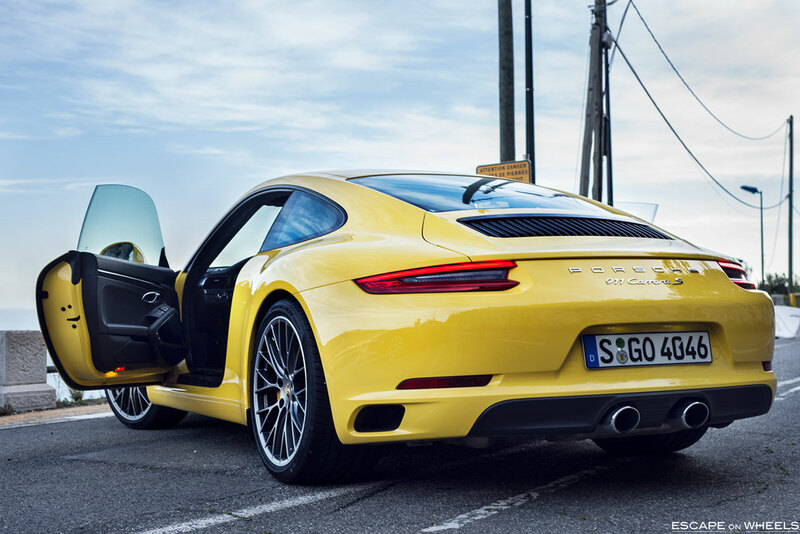 A lot of noise, because the sports exhaust of the Porsche 991.2 Carrera S is a checkbox in the options list you don’t want to leave blank. 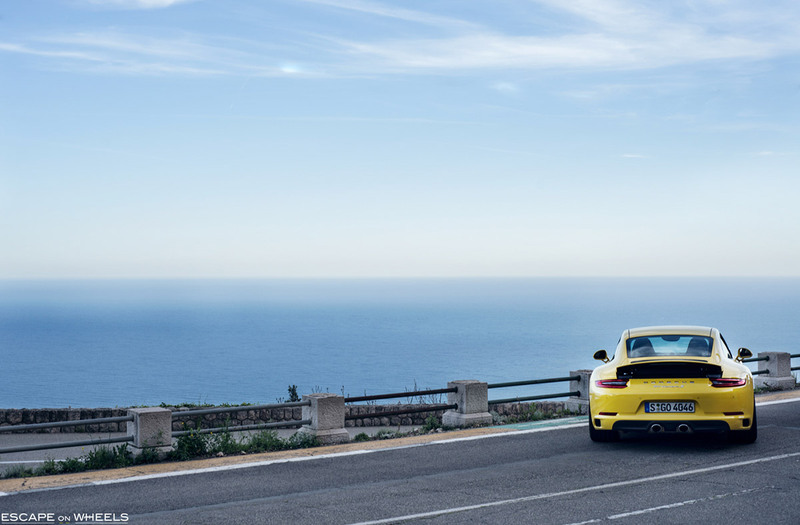 And I do not see a reason why you would not have it – it belongs there. 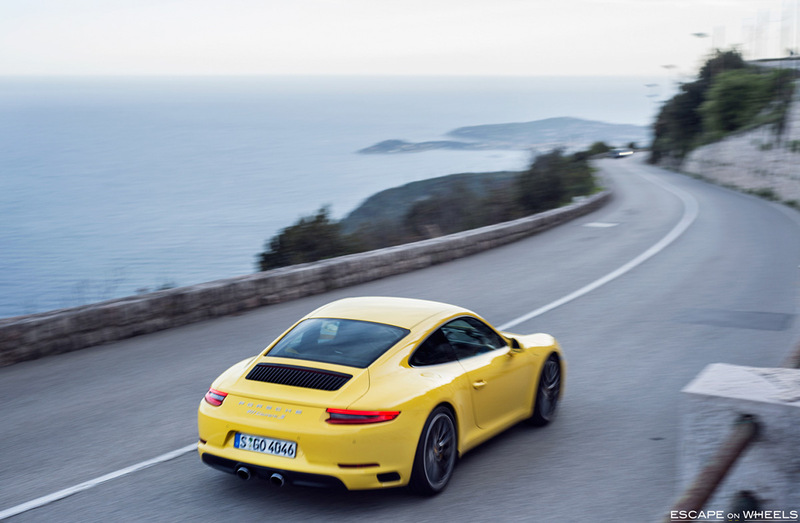 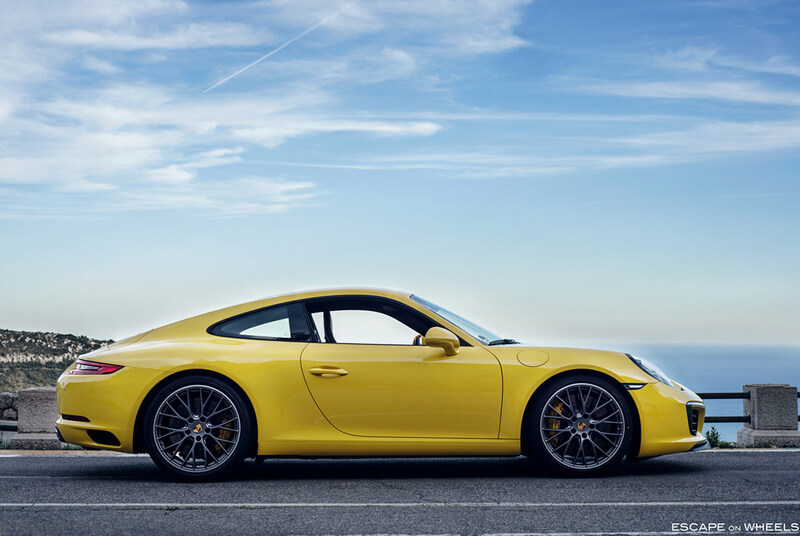 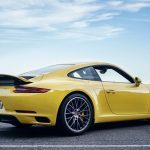 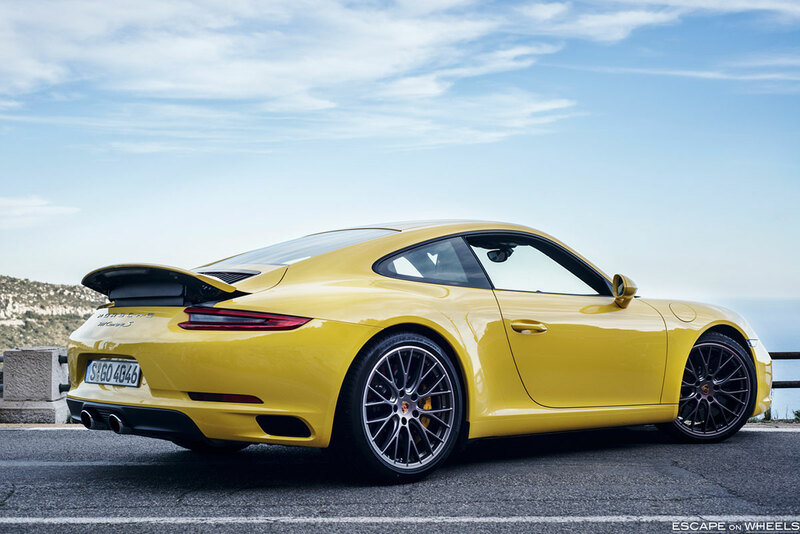 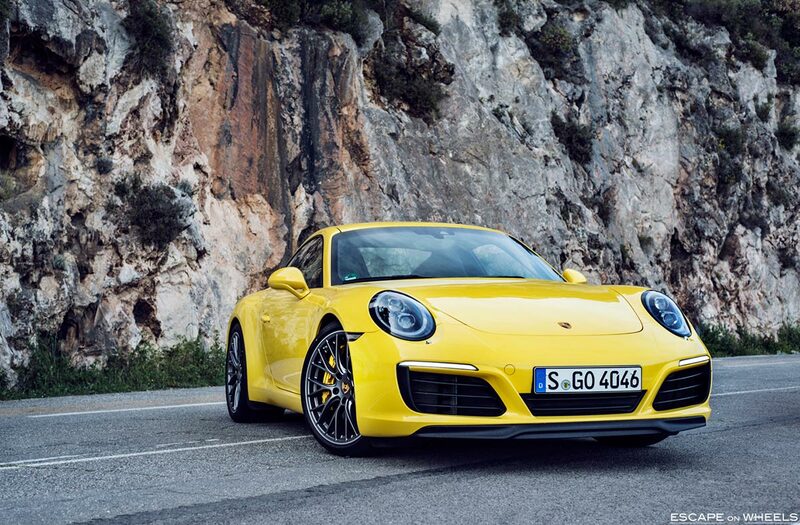 The new Porsche 991.2 sounds great. 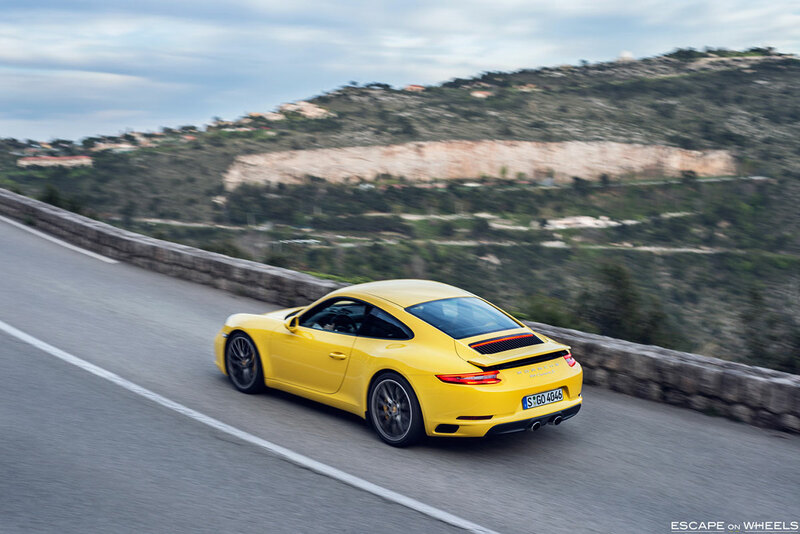 Surely the new turbocharged engine has changed the sound, first thing I noticed was a jet-like sound when the turbos spool up. 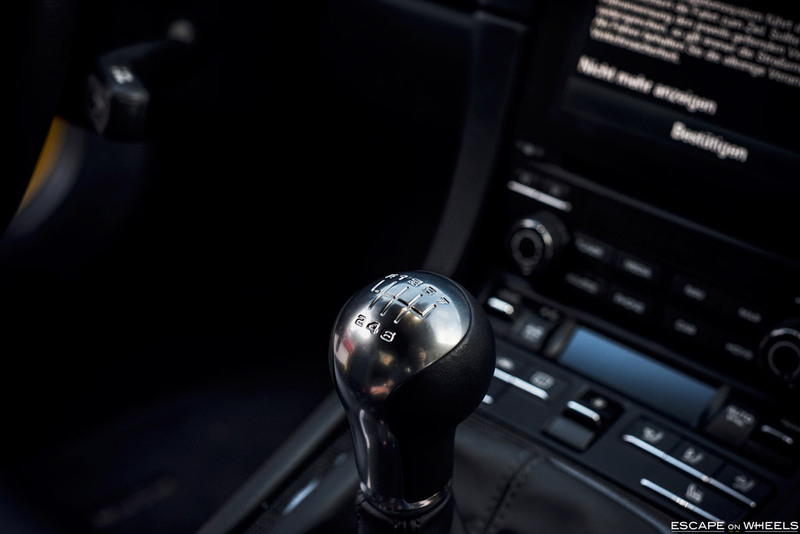 If you want it to be silent you leave that exhaust button alone, and if you want to drive a popcorn machine that crackles and pops and gurgles, you – to quote my own words – “Popcorn. 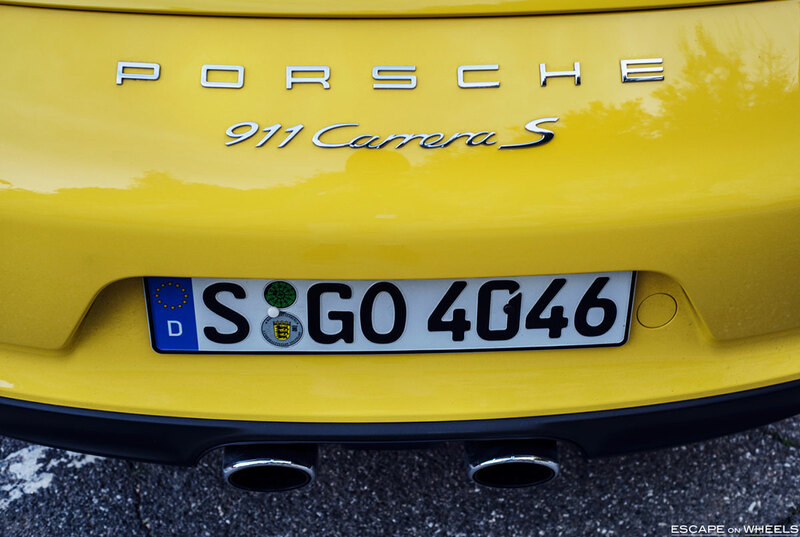 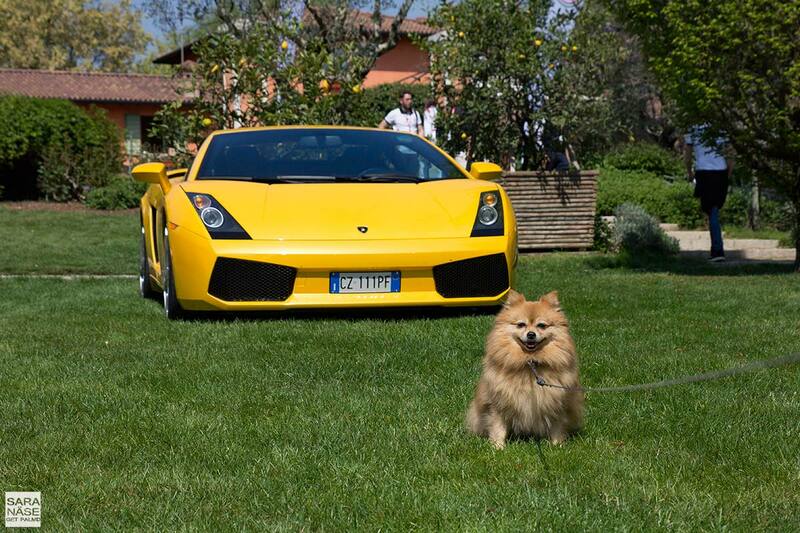 Quick acceleration let go of the gas pedal and enjooooy”. 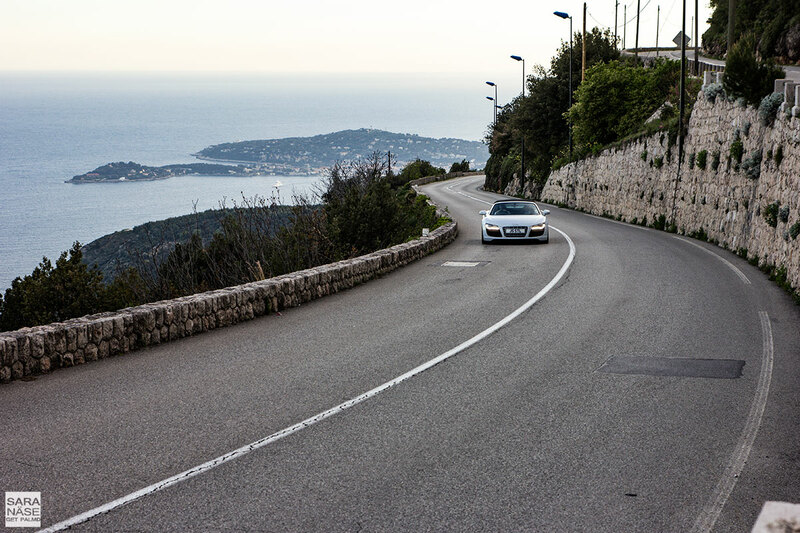 Then heads are turning and smiles are widening. 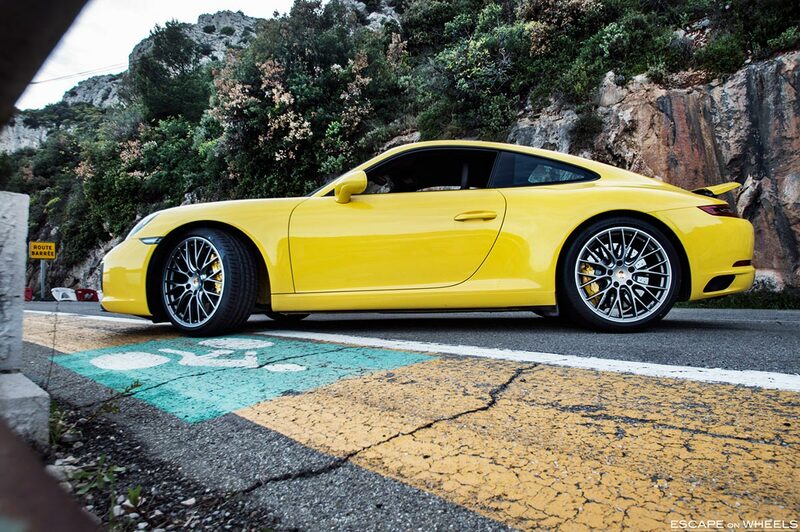 Of course it could be louder – just a little, you know. 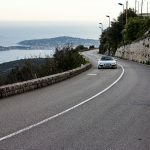 Especially when you drive behind supercars in the tunnels it is easy to feel a sting of envy. 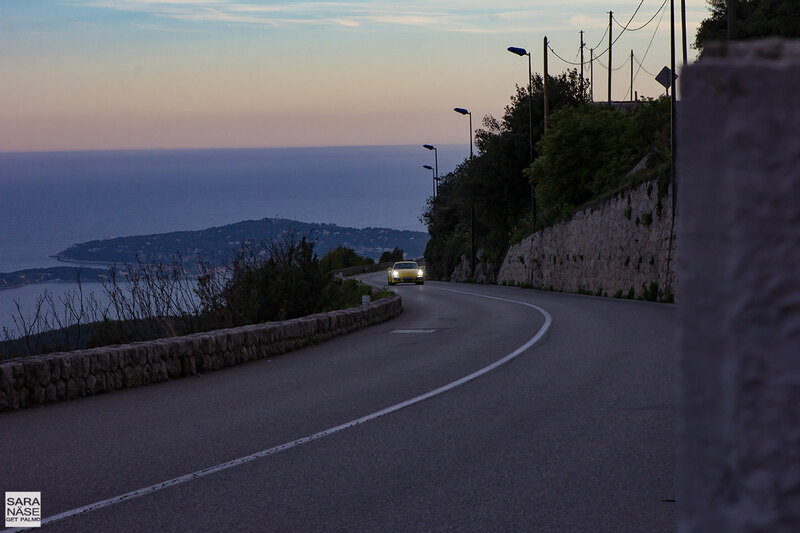 I found a nice location to do a photo shoot, I mean the views… The French Riviera never disappoints me, it is starting to feel like home. 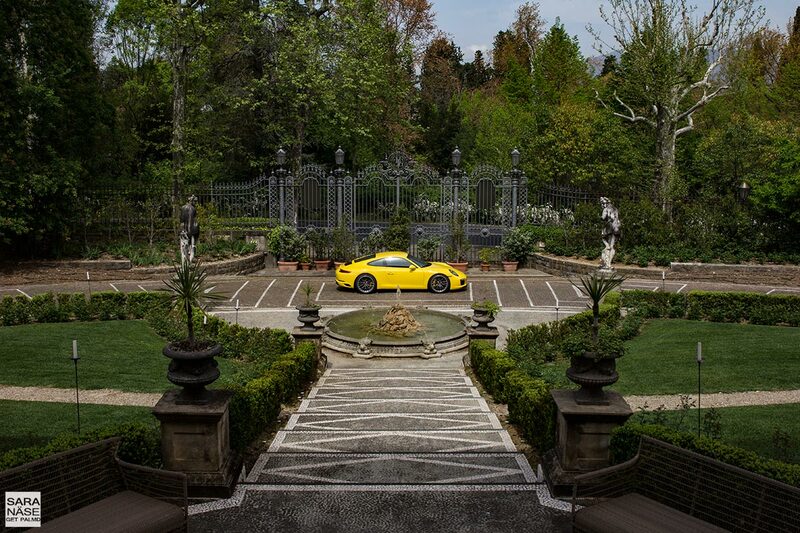 The more I spend time there the more I love it. 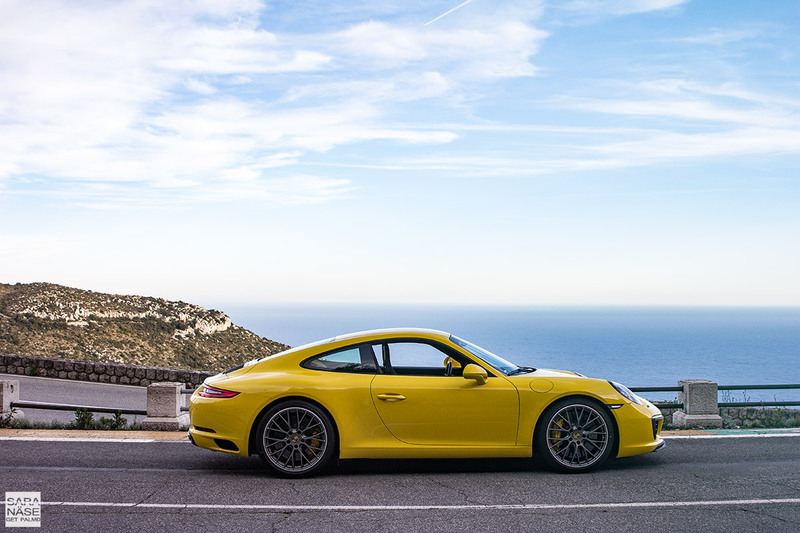 Thanks for a great gallery to share, Escape on Wheels!